Please use the form below to contact me, or to join my mailing list and receive a PDF free copy of my eBook. Information submitted on this site is entirely private. Newsletters are sent rarely and you can unsubscribe at any time. 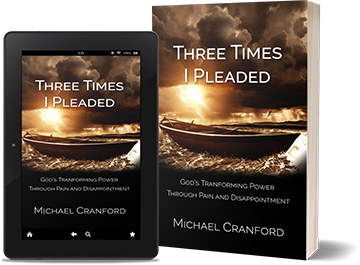 Join my mailing list to receive a free PDF copy of the eBook Three Times I Pleaded: God's Transforming Power Through Pain and Disappointment. It is a biblical and practical exploration of God's purposes in permitting pain in our lives as a means to experience his power. It includes group study questions. Sign up and receive a free PDF copy of my ebook!